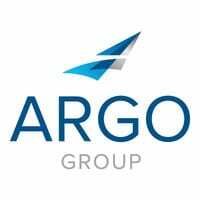 HAMILTON, Bermuda – April 8, 2019 – Ariel Re, a member of Argo Group (NYSE: ARGO), today announced the appointment of David Martin as head of marine & energy, reinsurance, effective immediately. He will report to Matthew Wilken, deputy global head of reinsurance at Ariel Re. Martin will work closely alongside Emily Leitch, senior specialty reinsurance underwriter, to build out the business. Martin brings more than 30 years of industry experience to Ariel Re. He joins the company from Tokio Millennium Re where for the last seven years he served in two roles: senior marine and energy underwriter and, most recently, head of UK underwriting. Martin began his career in 1985 working as an underwriter for FLP Secretan. He had subsequent roles at SUM, later Equitas, before moving to Mid Ocean Re in 1998.The business was later acquired by XL Re and, in 2002, Martin became its global head of marine and energy.